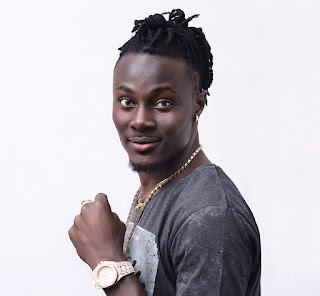 Ghanaian fast rising Afrobeat/ dancehall artiste EMMANUEL NII LARYEA known in the showbiz cirle as BANDBWOY has accused NII FUNNY for performing his song with his knowledge. According to the Remedi Entertainment Artiste, Nii Funny including Kumawood Star Lil Win uses his "Go Down" song to play shows without his concern. Speaking in an exclusive interview with Sammy Flex on Zylofon FM SHOWBIZ AGENDA, he said he featured Nii Funny on his song "Go Down" but treatment from his GA Colleague is a distress. He disclosed that, "gban gban" has been the street name of the song and Nii Funny is taking advantage of the song. Explaining further he told the host, everything about the music was from his own pocket starting on the studio works, cover art, video shooting including promotion all.
" Couple of times people have called me to inform about Nii Funny performing the song but each and every time I Confront him, he denies it. I have evidence of several videos all available" - he said. According to him, Funny takes money as owner of the song and performs on platforms, refuses to even introduce him as head of the song. The "Go Down" singer concluded by saying that, he has heard "LIL WIN" also has been performing the song on stage and has been given credit to Nii Funny whiles BandBwoy is the rightful owner of the "Go Down" song. He further urged his colleague musicians to desist from such inactions and do the needful.